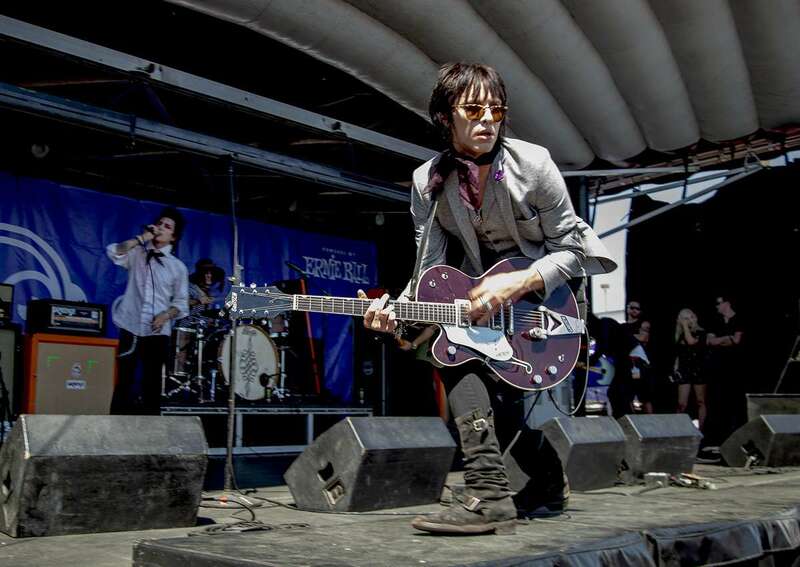 Gretsch recently caught up with Palaye Royale’s fashion-forward guitarist Sebastian Danzig on his tour bus to chat about all things Gretsch. 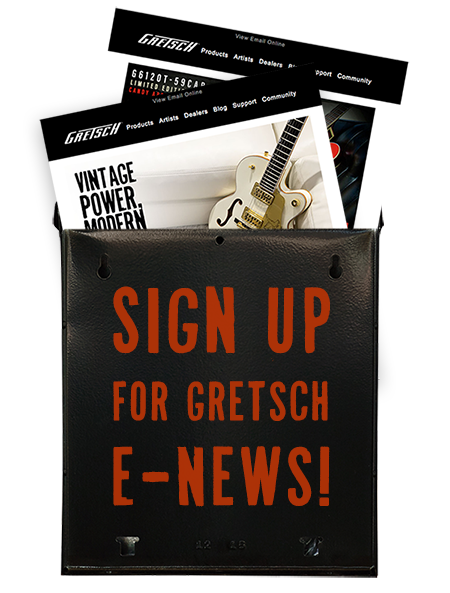 The lefty guitarist has since collected quite a few Gretsch guitars for his arsenal, including vintage left-handed Tennessee Rose and Chet Atkins Country Gentleman models. Although they are pricey guitars, Danzig is not precious with his guitars, and finds that his Gretsch instruments hold up very well to the abuse of the road. His Las Vegas-based rock outfit with brothers Remington and Emerson has been on the touring grind for the better part of three years and with the recent release of Boom Boom Room: Side B, it doesn’t look like the trio is slowing down anytime soon. “I don’t live anywhere; I don’t have a car. I am always on the road. I need to have my [Gretsch guitars] and my suits, and that’s it!” said Danzig. Watch the full interview below, and catch Palaye Royale on tour here.